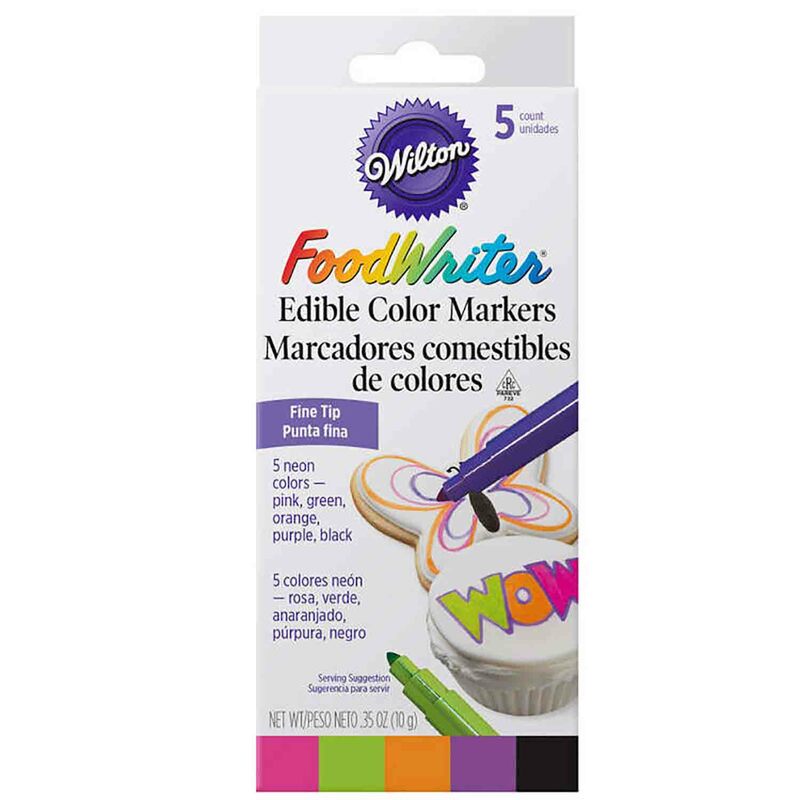 Brand: Wilton 609-116 Units: 1 set/ 5 pens total Use like ink markers to add fun and color to countless foods. Decorate on fondant, run sugar, royal icing directly on cookies or any edible item with a solid surface. Includes purple, green, pink, orange and black. Use like ink markers to add fun and color to countless foods. Decorate on fondant, run sugar, royal icing directly on cookies or any edible item with a solid surface. Includes purple, green, pink, orange and black. Ingredients: Purified Water, Propylene Glycol, FD and C Red 3, FD and C Blue 1, FD and C Yellow 5, FD and C Yellow 6, Citric Acid, Sodium Benzoate (Preservative).